Sparitual's Twinkle Collection, consists of six shades meant to sparkle and shine. If I'm not wrong, this is meant as a seasonal collection for Christmas, and if this is indeed meant for Christmas, then Sparitual has done a good job of making some festive shades while eschewing the traditional all-red-green-gold-and-white colour schemes we see so often in Christmas collection. Sparitual's Twinkle Collection does have its fair share of usual colours (another red shimmer), but overall this collection does look pretty interesting. Now without further ado, let's jump straight into swatches! First up, we have the swatches for the first three colours from the official Sparitual colour wheels. And here are the swatches for these three colours as they appear on my finger. Let's start with Blue Moon. Blue Moon, as the name suggests, is a blue colour - but this isn't quite the deep, almost-black type of blue you'd expect from a colour name like that. Instead, Blue Moon is always discernably blue, even in low lights, and looks to me to be a deepened colbalt blue, not quite dark enough to be called navy. 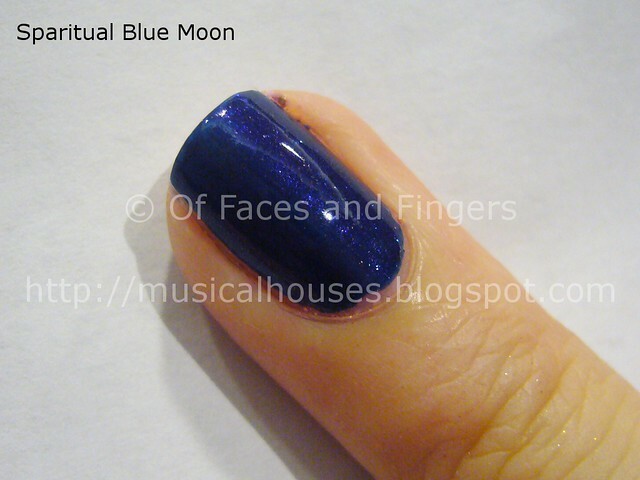 It has small suspended glitter bits that give the shade a slight twinkle - just like a blue moon. Illumination, as the name suggests, is pure bling. This is actually a mix of holographic and non-holographic glitter bits suspended in a clear base. The glitter bits are rather large, and really add to the bling factor. My photo doesn't really capture how the holographic glitter bits dazzle when hit by the light, but I'm sure you know what I mean. What you see on my nail is two coats, and coverage is pertty decent, although you'll need three coats to ensure opacity. Solstice was marketed to us as a gold shade that would suit Asian skintones, and I can't say I really agree with that. For one, Solstice is a gold that I see as bordering on the warm side, so it probably would end up looking a little "off" on cool-toned girls, Asian or not. No doubt, the colour is certainly stunning, being a true yellow gold that is reminiscent of gold jewellery. However on me I felt it looked a tad weird. 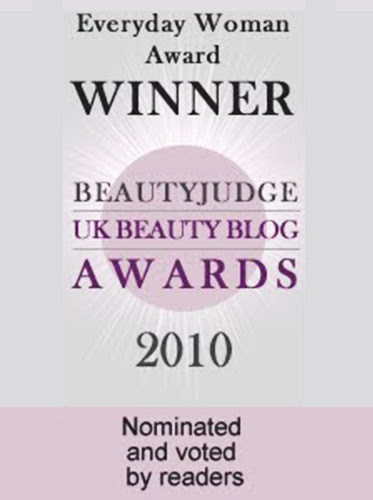 I felt that personally, for myself, a cooler shade of gold, like Orly's Luxe (which I've blogged about before), would have been more flattering. But to each his own right? And a great gold foil is always a good addition to any collection. Now for the second half of the Twinkle Collection. 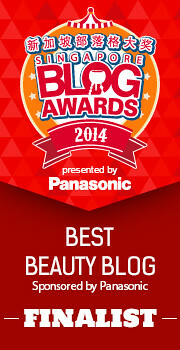 These consist of the darker, deeper shades, as well as more traditional reds, purples, and vampy shades. Break of Dawn is a red with shimmer, some of which is holographic. To me, this was the least interesting of the collection (oh yeah, another shimmery red for the holiday season), but this is pretty if you are looking for a red shade. The shimmer is generously added to the red base, so the shade sparkles even in low lights. And as you can see, in the photo below, I accidentally nicked the swatch, and flooded my cuticles. Oops. 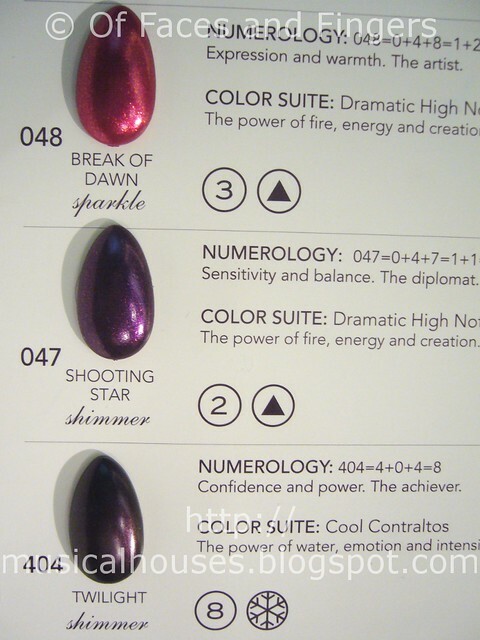 Shooting Star is a deep royal purple loaded with glitter bits of medium size. This one has that "lit from within" (in Scrangie's terms) quality to it - you see the shimmer really bursting and sparkling where the light hits it. This is visibly purple, and visibly shimmery even in low lights, and is very pretty, although it does remind me of something in my collection...I'd have to go look it up. 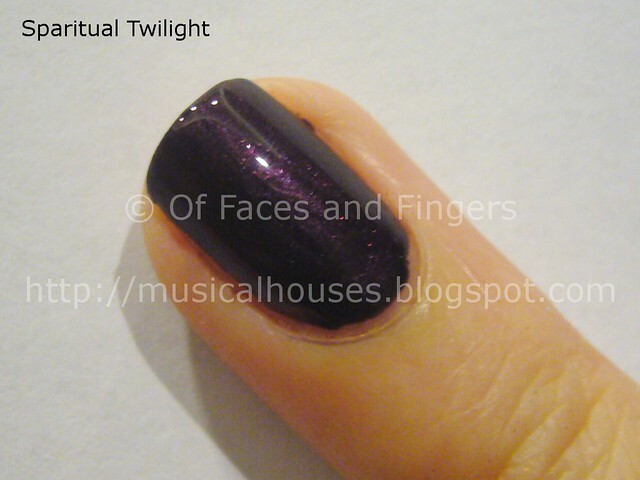 Twilight (oh man, those movies and Stephenie Meyer have ruined any polish called that for me now) is a deep, vampy purple with slight shimmer., It's one of those almost-black colours, but to be honest, in low lights (e.g. dim indoors lighting), it looks mostly black. It does look purple where the light hits it, so you'll probably need stronger lighting to showcase this shade at its best. 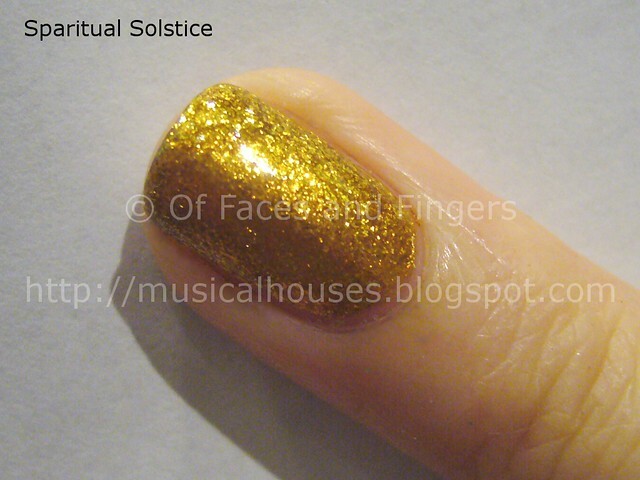 To me, Solstice is the clear standout of the collection, even though it makes my hands look jaundiced. I also quite liked Shooting Star and Blue Moon, although neither is all that unique. Generally, application on these polishes was also pretty good - nice, even application that was pretty streak-free, and a nail polish texture that was neither too thin or thick. 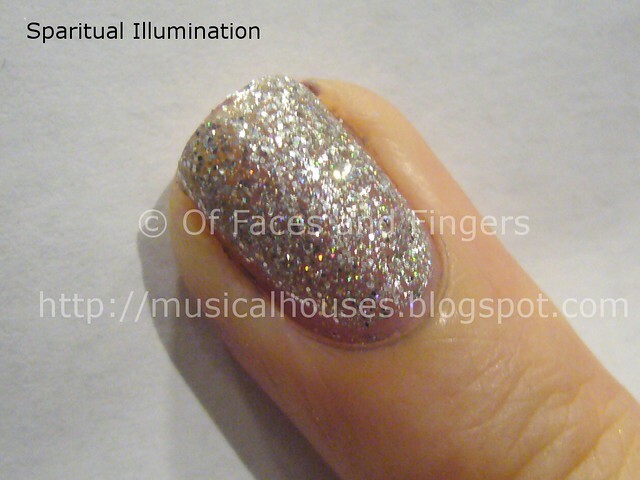 Overall, I'd say Sparitual's Twinkle Collection is a very pretty collection that is festive without being too cliched. Lastly, my Singaporean girls can all get 10% off on their Sparitual purchases with the code sparitual_musicalhouses - all you have to do is email squovalicious (at) hotmail (dot) com to place your order (she's the Sparitual ambassador in Singapore), and put the code sparitual_musicalhouses in the subject line of your email. 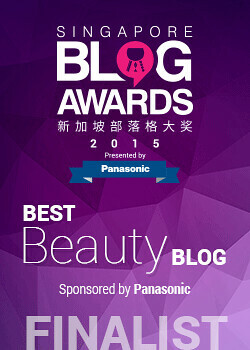 And ta-da, instant discount code! Hope the swatches help you make your purchasing decisions! They are all gorgeous colours!! I fall in love with the first shade - Blue Moon!!!! I love all the colours! Nice fingers! Blue Moon and Twilight are definitely my favourites!! I need Solstice, neeed it! Shooting Star is so pretty, too.